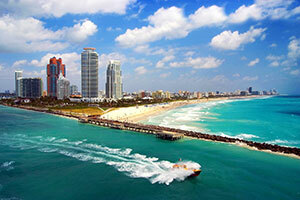 Contact Miami Beach Accident Lawyers Gerson & Schwartz, P.A. Our Miami Beach nightclub assault attorneys at Gerson & Schwartz have represented many clients who have suffered personal injuries in nightclub attacks in Miami Beach. If you have been injured in such an accident, call us now at (305) 371-6000 for your free consultation. We will help you determine whether you are entitled to financial compensation and who should pay for your damages. Our Miami Beach personal injury attorneys have represented victims injured by the accidental or intentional actions of third parties for more than 40 years. Injuries as the result of an assault in a Miami Beach nightclub can be severe. Determining the responsible parties that should be held to account can be complicated. Our Miami Beach nightclub assault lawyers approach each case in an aggressive yet professional manner. You may think that you were just unlucky when you were injured in a Miami Beach nightclub. Simply a case of being in the wrong place at the wrong time with the wrong people. But are you sure you have enough information to reach that conclusion? Do you know what the nightclub’s policies and procedures are regarding keeping its patrons safe? Do you have a clear understanding of the training that employees receive? What about the nightclub’s safety plans? Do you know how many other guests were injured in situations like yours? If you don’t have all the information, are you really being fair to yourself when you chalk up your injuries to bad luck? Who is Legally Responsible to pay You for Damages Recovery? We can't stress enough the fact that you need an expert's help to determine who is liable for paying you for your harms and losses in the assault. First and foremost, you should know that nightclubs owe visitors a duty of care, which means an obligation to provide a reasonably safe environment for entertainment. They should take all the reasonable measures to prevent or minimize assaults or other accidents/incidents that could cause visitors any personal injuries. But when they breach this duty due to negligence and innocent people are injured as a result, then the nightclub and others may be liable for the injuries. If they are responsible they may have to compensate you for all your injury-related damages, harms and losses. Due to the specifics of their business, nightclubs must pay great attention to security. They serve alcohol to guests, which sometimes may lead to drunkenness and possible assaults. People who are aggressive in nature may lose certain inhibitions and become aggressive because of alcohol. This shouldn’t be a surprise to anyone. That's why nightclub owners train staff and employees on how to deal with visitors who are on the road to getting drunk and who could possibly cause security and safety problems. Moreover, as a measure to prevent accidents or violent incidents, nightclubs should hire bouncers to deal with problematic guests. These bouncers or security staff should help prevent or minimize armed attacks, armed robberies, shootings, and other armed assaults. The nightclub’s zone of responsibility extends beyond the front door to the parking lot and other areas where foreseeable crimes may occur. Nightclubs are responsible to make sure their staff doesn’t injure any of the guests as well. Sometimes bouncers may overreact and negligently and unjustifiably cause injuries to patrons and guests as well. In Miami Beach nightclubs, security concerns extend from the staff to the bouncers to the crowd around you. If you were injured in a nightclub in Miami Beach, then you should seek the advice and counsel of the best Miami Beach nightclub assault attorney that you can call. Was there adequate security? If the nightclub has a history of assaults, they must take it into serious account. Did bouncers intervene on time? Or they didn’t intervene at all? There should be enough bouncers and security. All nightclub employees should be well trained in safety and security. Was the assailant served alcohol prior to the attack? Restricting alcohol for problematic guests should be part of any Miami Beach nightclub’s protocol. Are there metal detectors at the entrance? Are guests checked at the entrance? Are there signs clearly stating what is not allowed in the nightclub? Every Miami Beach club should do everything they can to prevent guests from entering with guns, knives, and other lethal weapons. Nightclub assaults are, unfortunately, quite common in entertainment meccas like Miami Beach. If you happen to be injured in one of them, you should call the Miami Beach nightclub assault lawyers at Gerson & Schwartz. Call us for free consultations now at (305) 371-6000 today and let's get to work. We don't ask for fees unless we recover for you.